I remember buying this album back in 1974. It kicked backside then and it does now. 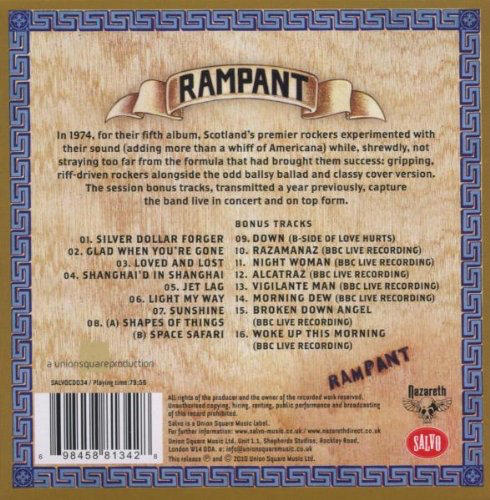 Dunfermline's hard-as-nails whisky-sodden foursome give it some and more on this excellently remastered extended version from this classic seventies rock band. The hit single was the Stonesy (complete with mid-song riff tribute) "Shanghai'd In Shanghai" and a corker it is too. 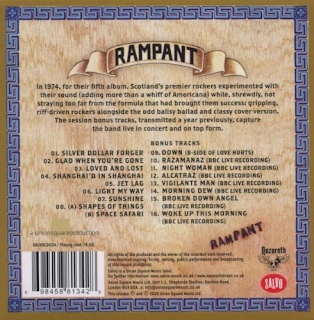 Also rocking are "Silver Dollar Forger", "Jet Lag", "Light My Way" and the passionate, yearning of "Loved And Lost". "Sunshine" is just a beautiful, anthemic rock ballad and the band's cover of The Yardbirds' "Shapes Of Things" is excellent too. 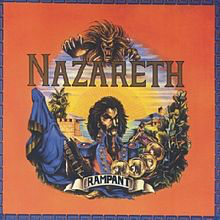 The "extras" are BBC "In Concert Sessions" live cuts featuring Naz classics such as "Razamanaz", "Vigilante Man", "Broken Down Angel", "Woke Up This Morning" and "Morning Dew" which show just what a great, powerful live band they were.